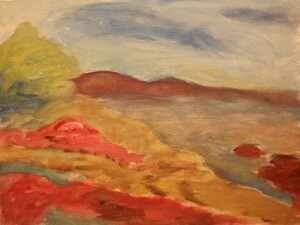 This is the first step in my painting of a picture I took in Monterey, California. Of course Monterey is gorgeous. I wanted to give it a very soft impasto feel. A little like Cy Twombly’s “Wilder Shores of Love”.